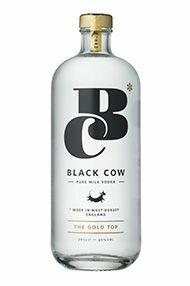 Produced in Dorset and inspired by the traditional practices of a nomadic Siberian tribe, Black Cow vodka is produced entirely from milk. The milk is split into the curds and whey: the former for an award-winning cheddar, the latter for this small batch vodka. Produced in Dorset and inspired by the traditional practices of a nomadic Siberian tribe, this vodka is produced entirely from milk. The milk is split into the curds and whey. The curds are used for the production of an award winning cheddar, whilst the whey is the raw material for this small batch vodka. Crisp and fresh in character with a soft finish and creamy texture, this is my new standard for a pre-prandial Vodka and Tonic. My usual bias is rather heavily against products that are as well packaged as this with such a unique ‘story’, so it gave me real pleasure and more than an element of surprise when I tasted and swiftly chose to present this as the latest addition to our Vodka offering. The bottle does say it is suitable for those with lactose intolerance and it is the first time, in my knowledge, that Berry Bros & Rudd have stocked a drink based on an animal product. 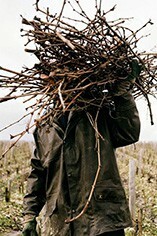 Feel free to visit me in our London shop, taste this new discovery and please, do let me know what you think.